Alexander Spa Motel provides accommodation near Forgotten World Adventures which runs self-driven Rail Cart and Rail Bike tours along the decommissioned railway line of the Forgotten World Highway. Have some fun, learn of a history unique to New Zealand and share a story and experience that belongs to everyone. Nestled within the deep hidden valleys of New Zealand’s Forgotten World has been described as the ultimate way to explore rural New Zealand. Travel along a decommissioned railway line, through tunnels, over bridges and rivers and to townships that time forgot. Forgotten World Adventures shares a history unique to New Zealand. It’s truly unforgettable. Choose to travel a segment of the line, or the entire 142 kilometres. 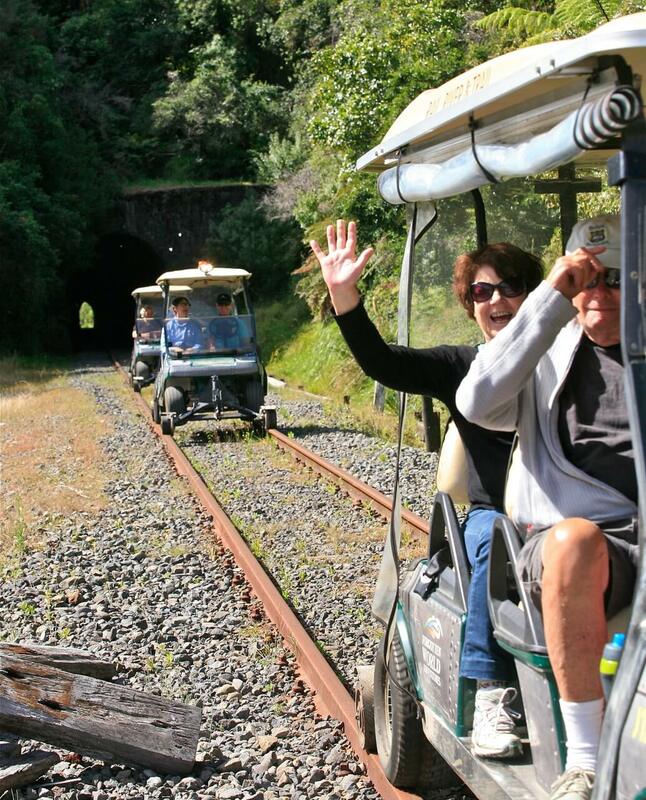 RailCart tours depart during the summer months of October through to May. You can depart from three locations,Taumarunui, in the heart of the King Country; Stratford, in the heart of Taranaki and the self proclaimed Republic of Whangamomona. For for a more active journey, choose the new RailBike tour and pedal your way through history or even return by jet boat! For more information see. Forgotten World Adventures is just a minute from us at Alexander Spa Motel – an ideal place to stay when you are enjoying a rail-cart trip.